Lewis Mumford spent nearly fifty years writing books on a range of topics, including Technology (which he insisted on calling Technics), Architecture, Towns and Cities, and Social Planning. He was one of the first writers to take a serious historical look at the impact of technology on society. He was a disciple of Sir Patrick Geddes, and corresponded with many important contemporaries, including Fred Osborne and Vannevar Bush. Much of his work is now out of print, but some of his more important books have been reprinted. I have found many of his books in second-hand bookshops. "What is peculiar to the machine is that choice, freedom, æsthetic evaluation, are transferred from the process as a whole, where it might take place at every moment, to the initial stage of design. Once choice is made here, any further human interference, any effort to leave the human imprint, can only give impurity to the form and defeat the final result." "Did it not take a hundred thousand slaves and immense technical skill to make visible, in the Pyramids, the Egyptian notion of eternity ?" "The fact that order and creativity are complementary has been basic to man's cultural development; for he has to internalize order to be able to give external form to his creativity." "If we do not take the time to review the past we shall not have sufficient insight to understand the present or command the future: for the past never leaves us, and the future is already here." "If one looks for the first evidence of the wheel, one will discover the earliest form of it, not in the fire drill or the potter's wheel, but in the hollow ivory rings, carved out of an elephant's tusk, in Aurignacian finds. And it is not without significance that three of the most important components of modern technics - copper, iron and glass - were first used as bead ornaments, perhaps with magical associations, thousands of years before they had an industrial use. Thus, while the Iron Age begins around 1400 BC, iron beads from before 3000 BC have been found. "The feathering of the arrow, which ensured the accuracy of the weapon, was possibly due to a purely magical identification of the arrow with the wings of a living bird. This is one of those cases in which magical thinking often misled men further by sometimes actually paying off." "The earliest vehicles that have survived were not farm wagons or even military chariots, but hearses." The impersonal, bureaucratic order of the counting house vied with monastic and military order in laying the foundations for the inflexible discipline and impersonal regularity that has now gradually extended itself to every aspect of institutional life in Western civilization. This order has been smoothly translated into automatic machines and computers, even more incapable of exercising humane judgement and discretion than a trained clerk. The new bureaucracy devoted to managerial organization and coordination again became a necessary adjunct to all large-scale, long-distance enterprises: book-keeping and record-keeping set the pace, in standardized uniformity, for all the other parts of the machine. The failure to reckon with this mathematical aspect of mechanization, as a prelude to industrial inventions, has resulted in a warped and one-sided picture of modern technics. This account gives to specific tools and machines by themselves the priority in effecting changes that first took place in the human mind and were translated later into institutions and mechanisms. Precisely at a time when the expansion of bureaucratic methods in business and government, and the expansion of large-scale manufacture were making the whole routine of practical activity an ever deadlier grind, Protestantism developed a special faculty for getting pleasure out of that grind. ... Drudgery served the Protestant as a valuable mortification of the flesh: valuable in a worldly as well as a spiritual sense, for unlike the hair shirts and self-whippings of the mediaeval saint, his unflagging concentration on dull work brought tangible profits. "Speed ... is a function of effective power and in turn becomes one of the chief means of ostentatiously displaying it.... Royal commands, like urgent commands in the Army, must be performed 'on the double'. The current commitment to supersonic locomotion as a status symbol, already comically exposed in the intercontinental oscillations of the 'jet set' in business and government, has its beginnings here." Mumford goes on to compare the short time to build a pyramid (under a despotic bureaucracy) with the centuries required for a mediæval cathedral (in a Free city). "In the long run, unceasing change is as monotonous as unceasing sameness: real refreshment implies both uncertainty and choice, and to have to abandon choice merely because for external reasons a style has changed is to forfeit what real gain has been made." "Every manifestation of human culture, from ritual and speech to costume and social organization, is directed ultimately to the remodelling of the human organism and the expression of the human personality." "Containers can serve their function only if they change more slowly than their contents." "Language is the great container of culture." University of Georgia Press, 1995 Good starting place. 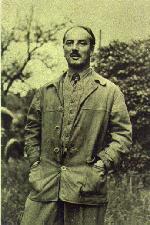 Lewis Mumford. Technics and Civilization. first published New York, Harcourt Brace, 1934 Read his account of the technological developments of the new stone age. And read his account of the complex relationship between the mediaeval development of clocks and the rigours of monastic life. Lewis Mumford. Art and Technics. Columbia University Press, 1952 A brilliant short work. The first edition is almost impossible to find. A new edition is currently being prepared by one Casey N. Blake. Lewis Mumford. City in History. New York, 1961 A sweeping historical survey, from Mumford's characteristic perspective. Lewis Mumford. Myth of the Machine. First published 1967 Top recommendation. Lewis Mumford. Pentagon of Power. edited by Robert Wojtowicz. 1998. Lewis Mumford's writings on New York.